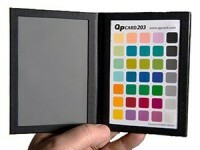 QPcard 202 Studio is a precise studio color chart used for camera color management. It requires a DSLR or compact camera that can shoot in RAW format. Using the QPcard 202 alone, you will be able to achieve truthful color reproduction in essentially any lighting conditions. The QPcard 202 works together with the free QPcalibration software (available in Microsoft Windows and Mac OS versions). 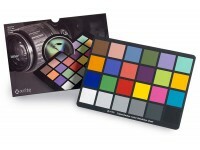 The photographer is required to make a properly exposed picture that includes the QPcard 202 color chart. This picture is loaded into QPcalibration and the software generates an adjustment profile for particular camera/environment combination. The correction file is stored in the folder accessed by the Adobe Camera Raw (ACR) software, so that it can be loaded from there. Using the QPcard 202, you will be able to achieve nearly identical color reproduction between different brands and models of cameras. This is of particular importance to multi-camera users such as professional wedding photographers who frequently rely on two or cameras to shoot the same event. 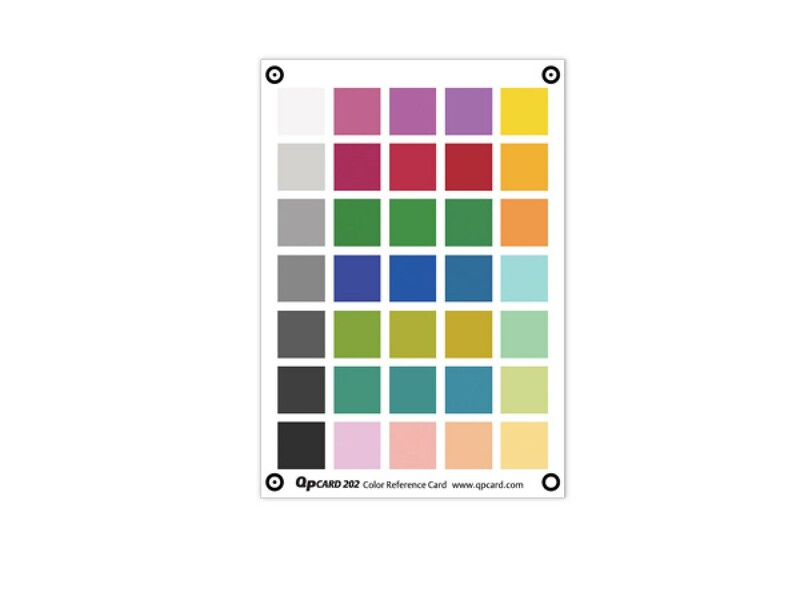 The QPcard 202 color chart is intended for use primarily in studio environment and has relatively large size (240×170mm). If you require a more compact version, check out the pocketable QPcard 203 Solo or QPcard 203 Book. 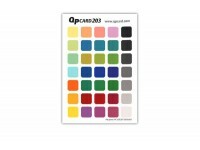 The QPcard 202 is printed on special paper that does not include whitening agents. 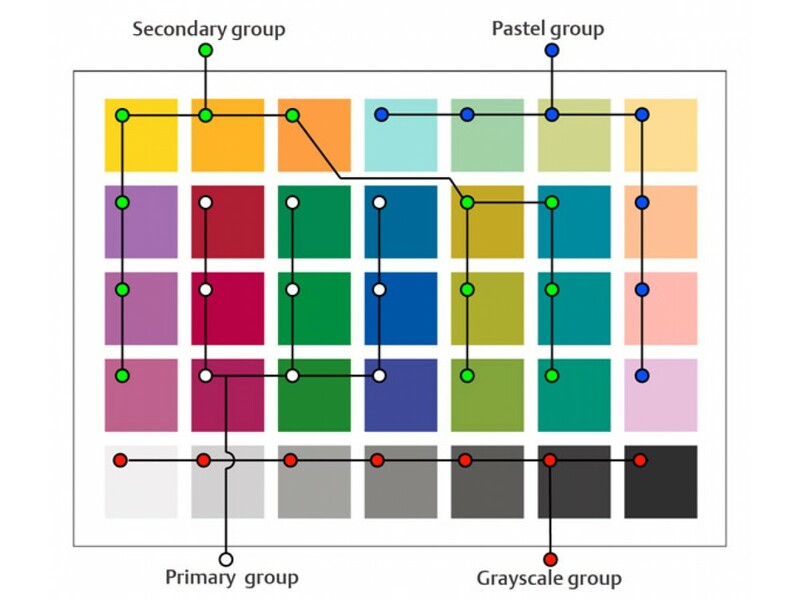 The color patches consist of finely blended pigments and are carefully selected to be similar to color tones frequently found in nature. 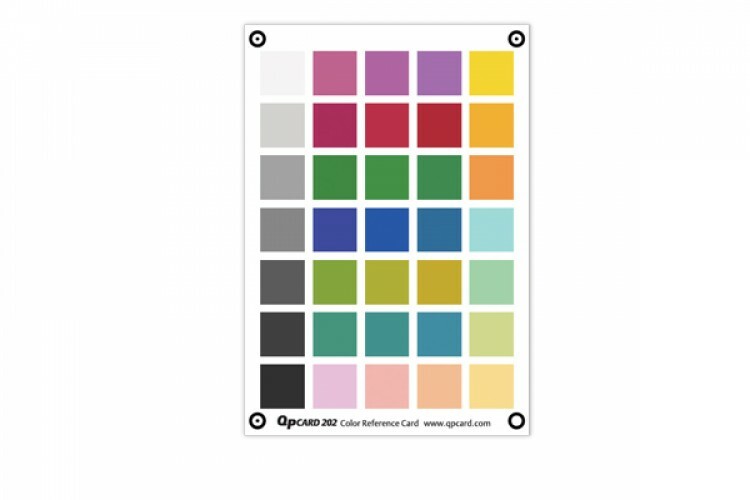 Unlike other QPcard and similar products, the color patches of the QPcard 202 Studio are not part of the chart itself but instead are printed on separate cardboard elements that are glued onto the paper body. This guarantees maximum effectiveness and complete independence from the reflective abilities of the paper back. The QPcard 202 has linear spectral reaction and can be used under different lighting conditions without causing metamerism. The pigment inks used are extremely fade-proof: according to the manufacturer, the stability of the color patches exceeds 6 years under normal conditions of storage and use.